February 7 to 10, the Netherlands ISE audio-visual and systems integration exhibition in Amsterdam, the Netherlands RAI Exhibition Center was held. 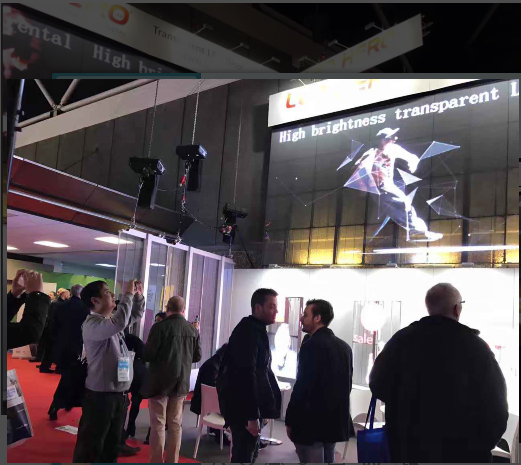 As the most successful audio-visual and systems integration exhibition in Europe, represents the highest authority in the field of audio-visual technology in the industry, but also the industry's most influential industry exhibition, the same as the LED creative transparent screen leader, its characteristic products stunned all the people, creative in the exhibition pocketed the people's attention. 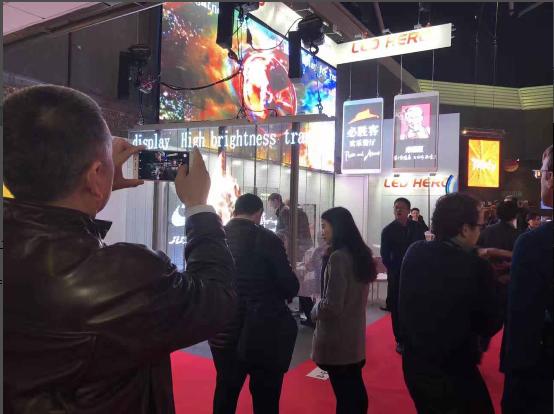 At the show, LED-HERO has demonstrated its patented TW, TR, TB series of transparent LED display, which is suitable for small and medium-sized shops and retail shops. It is plug-and-play and requires no special installation. Light and high permeability characteristics, can be installed in the building glass curtain wall and commercial retail store windows, both lighting and commercial value. The product has attracted a group of customers to watch a group of advice. LED-HERO does their own brand, promote their own culture. 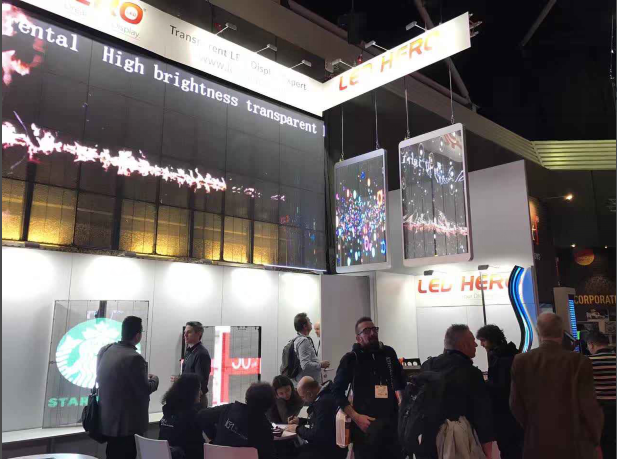 Focusing on LED transparent screen of the development, production and sales,LED-HERO is committed to providing customers with the most perfect products, professional customization services, the success of value and aesthetic presented to the perfect customer. In the majority of customers praise the tide of the sound, please pay more attention to LED-HERO's electronic products to bring you more surprises, looking forward to your arrival!